What is LPDDR Memory ? 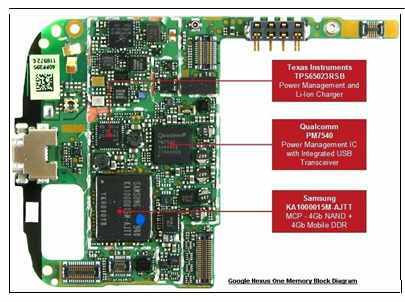 Mobile DDR (also known as mDDR, Low Power DDR, or LPDDR) is type of double data rate synchronous DRAM for mobile smart phones and Tablet PC application. The original low-power DDR (sometimes, in hindsight, called LPDDR1) is a slightly modified form of DDR SDRAM, with several changes to reduce overall power consumption. Most significantly, the supply voltage is reduced from 2.5 to 1.8 V. Additional savings come from temperature-compensated refresh (DRAM requires refresh less often at low temperatures), partial array self refresh, and a "deep power down" mode which sacrifices all memory contents. Additionally, chips are smaller, using less board space than their non-mobile equivalents. Samsung , Elpida Hynix and Micron are the few of the main providers of this technology, and is used in tablet computing devices such as the Apple iPad, Samsung Galaxy Tab,Motorola Droid X and HP TouchPad. Industrial/Medical – Patient monitors, defibrillators. 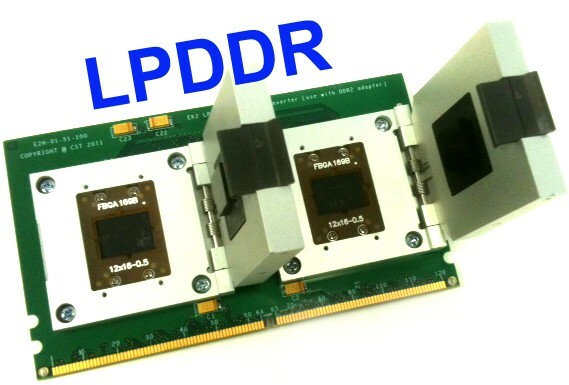 LPDDR1 /LP DDR2 Chip Test Adapter. 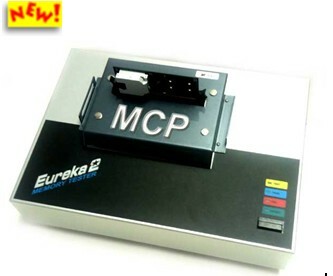 The Eureka2 Test System is a MCP Chip tester capable of testing LP-DDR,LP-DDR2,LP-DDR3, NAND/NOR memory chip and it utilizes CST‘s proprietary test algoritium to capture all known memory failures. The Eureka2 MCP Memory Test system with CST's Proprietary Technology offers a significant advanced programmable features, wide Vdd voltage range setting and high frequency testing up to 1333Mhz data rate.